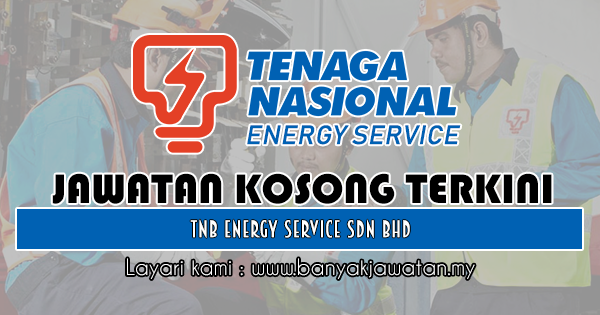 TNB Energy Services Sdn Bhd formerly known as Tenaga SPL Sdn Bhd, a wholly owned subsidiary company of Tenaga Nasional Berhad. First incorporated as a subsidiary of TNB in March 1997 with a paid-up capital of RM1 million and authorized capital of RM10 million. TNB Energy Services Sdn. Bhd. (TNBES) is managed independently as a business organization within the corporate structure of the TNB group, Malaysia’s premier power utility organization. Now TNB Energy Services Sdn. Bhd. Plays a role as main channel of Tenaga Nasional Berhad in promoting and providing solutions in Green Energy and Energy Efficiency to the customers. 0 Response to "Jawatan Kosong di TNB Energy Service Sdn Bhd - 11 April 2019"